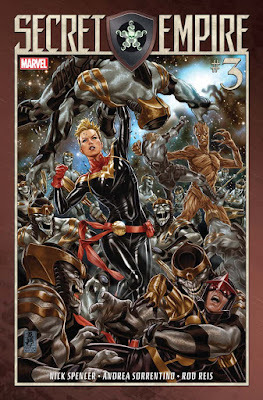 Matt C: Secret Empire leads the pack again this Wednesday; an impressively choreographed event that is dark, intelligent and timely while still catering to the more spandex-led requirements of the genre. If you want to get sniffy about this series, do so at your peril. This week sees PCG fave Jeff Lemire leave two of the best books at Marvel behind - Moon Knight and Old Man Logan - meaning Thanos will be his lone title for the publisher. All three books have been great, a testament to how well the writer can adapt his style to the mainstream and find new ways to tell stories with old characters. There's a healthy selection of titles from Image, with Kill Or Be Killed being the standout, and arguably the standout of any week it appears in. Brubaker, Phillips and Breitweiser are on fire with this book! Seriously, it's the one where I can happily employ the cliché and really mean it: if you're not reading this book, you're really missing out on one of the best titles in the last decade! My other main highlight from Image is Hadrian's Wall #7, the penultimate issue of a series that clearly demonstrates that Kyle Higgins, Alec Siegel and Rod Reis should always work together because they make a formidable team! Jo S: With the incoming release of the Wonder Woman movie (pleaseletitbegoodpleaseletitbegoodpleaseletitbegood), my pull-list this week is dominated by some serious girl-power weight, starting with the Wonder Woman Annual #1 and issue #6 in the very reliable Hulk series. I like a little darkness in my comics, it's true, but the sweet wholesome goodness of the DC Super Hero Girls FCBD edition really appealed to me so I'll be asking my retailer about their Wonder Woman Day Special Edition too. My ‘take a chance on something less well known’ option this week is Space Goat’s Heroines, a double sized #1, for which the blurb gives little away other than it seems to be a call to arms for women with superpowers to band together and do their bit - strategy approved! The remainder of my list restores the gender balance only a little; I'll take the new Cable #1, just out of interest, I don't know much about this guy but enjoying other series from the House of X which I've picked up recently, plus I'm intrigued to learn more having met his daughter in last week’s Jean Grey #2. 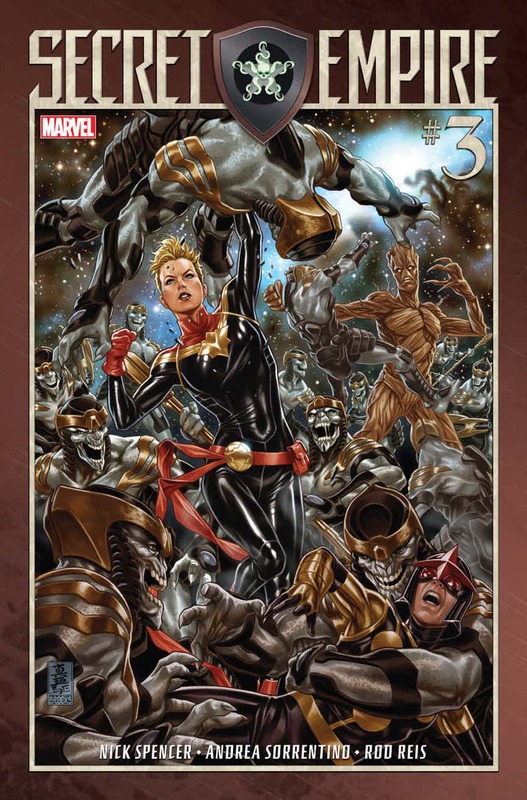 Secret Empire #3 is a must-have: the first two have blazed hot with dread-inducing creativity and a blistering pace without losing my absorption in the story. Finally, of course, this red-blooded gal needs some Man-Thing in her life and a brief appearance in one of last week’s Secret Empire books (Sssh! Spoiler!) was surely just enough to whet my appetite. I'm enjoying R.L. Stine’s creepy little gothic backups as much as the main stories in this series.